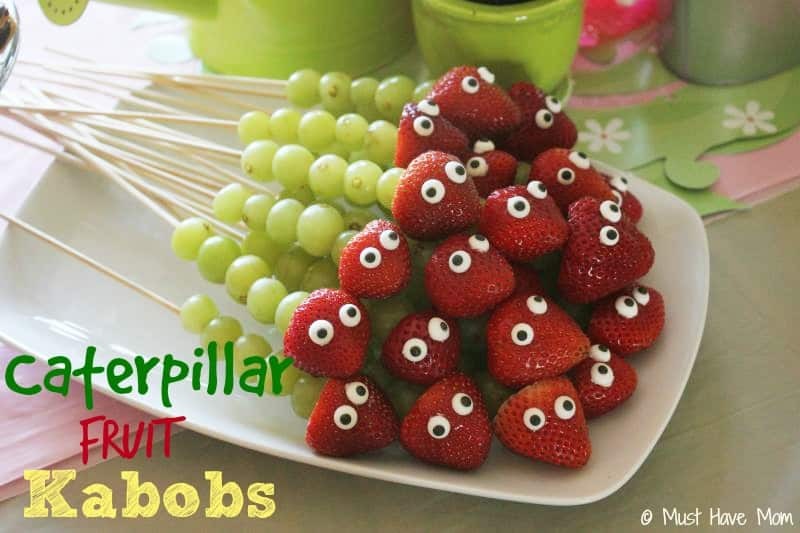 Caterpillar Fruit Kabobs Party Food Idea! 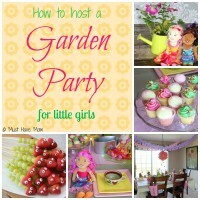 If you are looking for fun kids party food ideas that are healthy too then look no further! 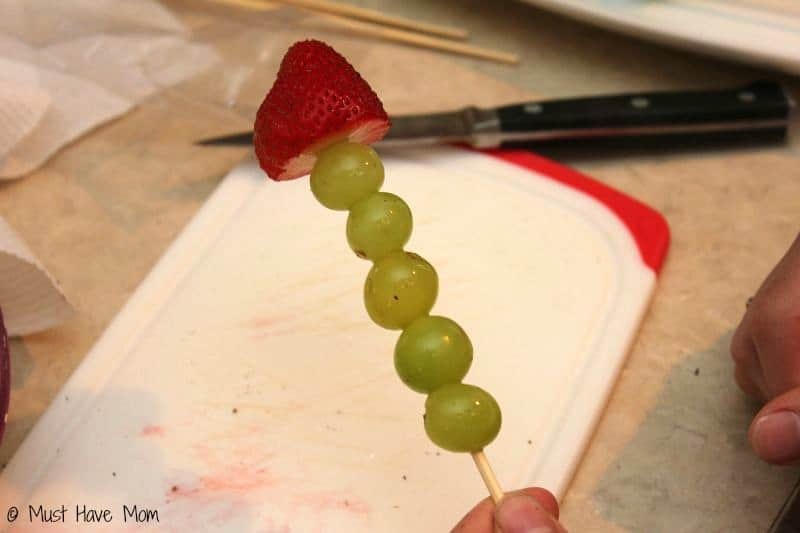 These fun caterpillar fruit kabobs were a huge hit with the kids and healthy too! 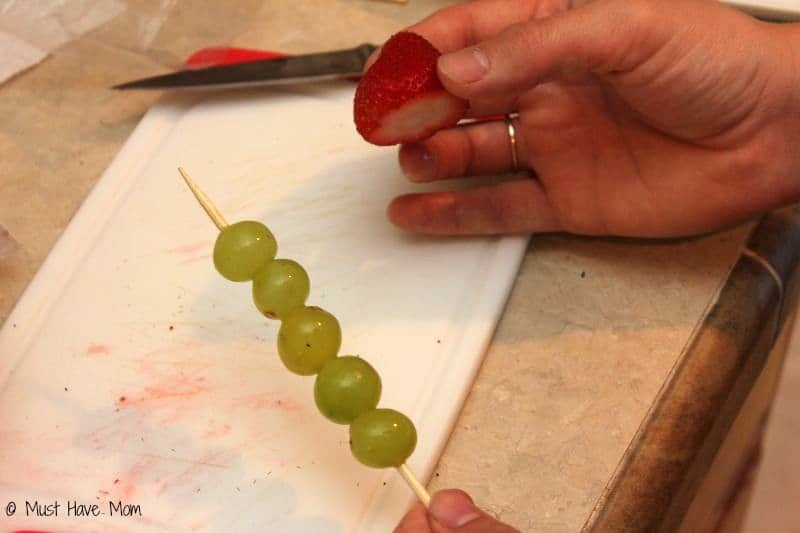 These adorable little caterpillar fruit kabobs were a huge hit at our garden party we hosted earlier this month! 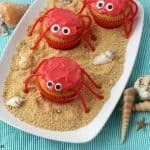 The girls loved them and I loved that they were a healthy, fun kids party food without all the sugar that usually comes with party food. They were quick and easy to make too! 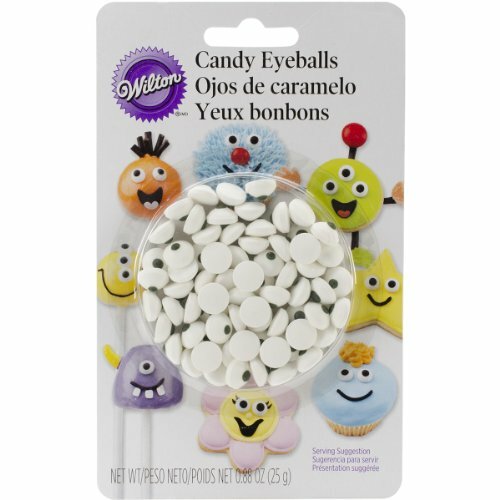 These would work great for a Very Hungry Caterpillar themed party, an animal themed party, or just a fun playdate snack. 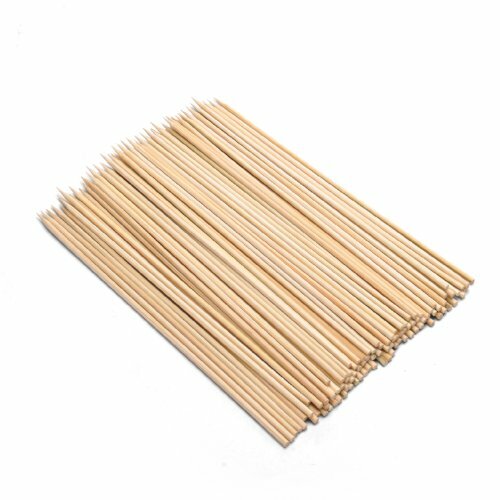 To make them start with a wood skewer which you can find at any big box store or kitchen store. 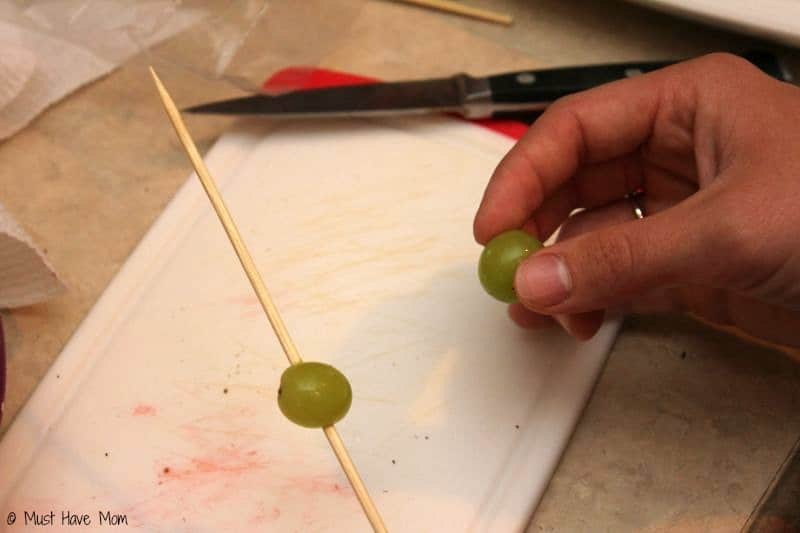 Slide a grape on about 1/3 of the way down the skewer and stop. Finish until you have an inch or so of wood skewer sticking up. Top with a strawberry as shown. Slice the greens off the top creating a flat surface for the back of the head. Next use frosting to add sugar eyes to the caterpillars. I bought the Wilton sugar eyes in the cake decorating section and just used regular frosting to attach them to the strawberries. Aren’t they cute?! Almost too cute to eat. Almost. 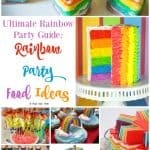 Easy kids party food that you can make in about ten minutes but looks magazine ready! Pin the kids party food image below for easy finding later and be sure to share on Facebook! 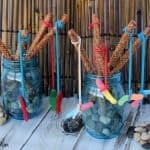 What a CUTE CLEVER and healthy summer snack idea!! Thank you Rachel! These disappeared fast at our play date! I love this. 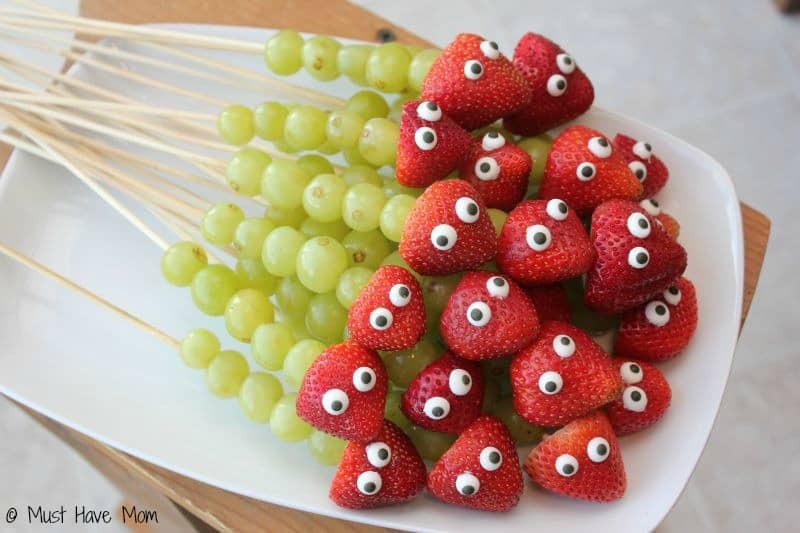 I’m just curious how you got the eyes to stick to the Strawberries. I used just a small amount of frosting to attach the eyes. It dries and holds them perfectly while still being edible. Thank you so much! My daughter loves the story about The very Hungry Caterpillar. Ill be taking these to her class next week for her birthday!! Im so excited as well. Oh, how fun! I’m so glad you found this useful. Happy Birthday to her as well!